State PDMPs Alone Are Not Enough to Address the Opioid Epidemic—So What Is the Answer? First, the good news: Opioid prescribing is at a 10-year low. The bad news? Overdose deaths are still at an all time high. While tracking the dispensing of controlled substances is a critical piece of the puzzle, it is simply not enough to reduce substance abuse disorders. hc1 Opioid Advisor™, delivered via a strategic partnership with Appriss Health, was thoughtfully designed to meet this exact need. 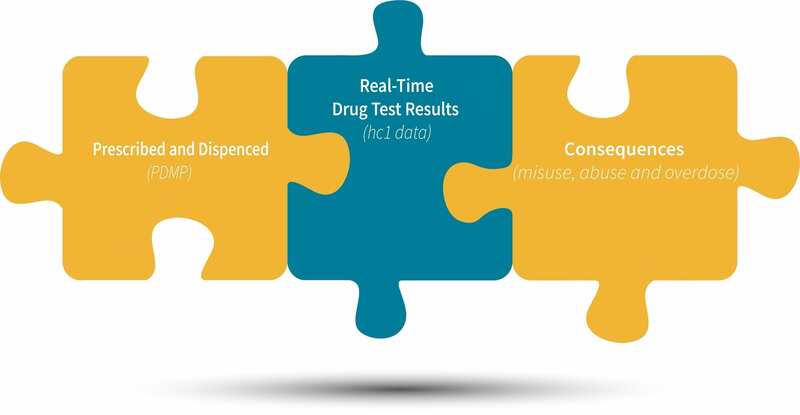 The solution automatically compares toxicology results + PDMP data, providing real-time clinical decision support to personalize prescribing of controlled substances including opioids. hc1 Opioid Advisor also complies with state PDMP regulations and satisfies all state-mandated use laws. Now more than ever, prescribers require toxicology results to complement the PDMP by providing insight into drug consistency analysis. Equipped with the complete picture of each patient’s prescribing history and actual drug usage patterns, including illicit and non-prescribed drugs, prescribing physicians can make better decisions resulting in improved outcomes. To learn more about hc1 Opioid Advisor, download our new whitepaper: How your tox lab can outpace competitors with clinical decision support.